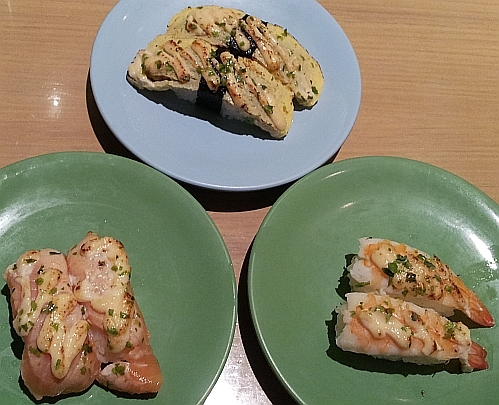 Despite not liking the mayo mentai sauce that much, I grabbed these 3 plates of sushi from the sushi conveyor belt at Sushi Zanmai, Gardens Mall because I was too hungry. Egg Mayo Sushi - MYR3.80 nett, Salmon Mayo Sushi - MYR6.80 nett and Prawns Mayo Sushi - MYR6.80 nett. I will always order 2 sets of Avocado Sushi at MYR2.80 nett per set (1 set has 2 pieces of sushi). 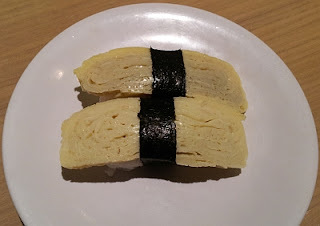 Still greedy hungry so grab another plate of tamago sushi at MYR2.80 nett. Ends with 1 plate of mini cucumber maki - MYR2.80 nett to clear my palate. So I spent a total of MYR28.60 nett for lunch because I was ravenous. Lesson of the day - always have some snacks around to put some food in the stomach before ordering meals. do u eat plain avocado? 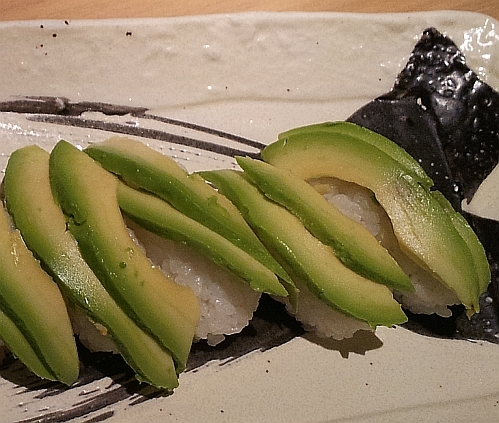 if you don't like plain avocado, you may end up not liking avocado sushi. can try sushi avocado to try then since the plain avocado is not that much if you don't like it. I agree that there is no point eating at places where the food is not nice. I also not so keen on those mayo sushi. Long time did not patronize Sushi Zanmai. There is one outlet in Kuching. Been there twice. I have yet to try the avocado sushi. But should not be anything interesting. Just avocado on top of sticky rice I pressume. it is the nice taste of plain creamy avocado with slightly vinegared sticky rice that melts and combines wonderfully. I have not tried Avocado Sushi till now. I am always a pig when the plates on the belt passed my nose. I would eat a lot esp when the each plate costs around RM2+. You can only find this cheapo at Kota Damansara area. sushi mentai, sushi jiro and other budget sushi places also give these myr2+ prices. I may order that avocado sushi, cause I am a fan of avocado! Haha. Yeah man. Never go to the conveyor belt with empty stomach. If I do that, I'll end up having to wash the dishes as I am sure I wont be able to pay for the amount of food I eat. hahahaha. beware of empty stomach, hahahaha! Wah! You must be very hungry because normally you eat very little! 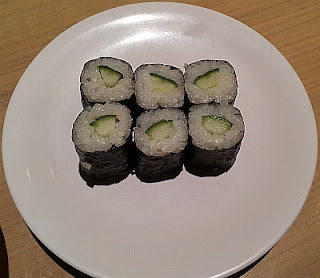 I have tried avocado sushi, I quite like it. indeed I was at that time.